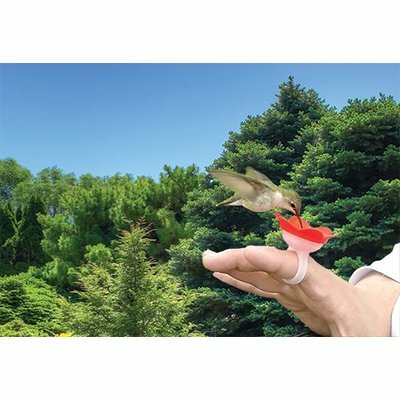 The Hummer Ring is a handheld hummingbird feeder that allows you to feed hummingbirds just like in the fairy tales! A terrific gift for kids and outdoor enthusiasts! 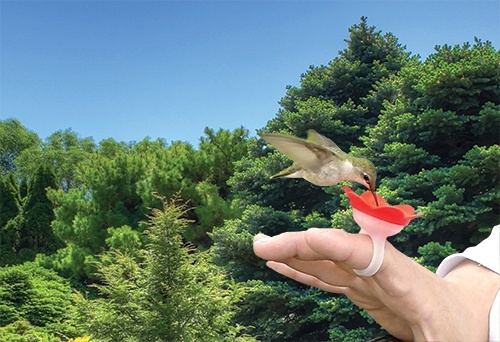 Feed hummingbirds straight off your hand using the Hummer Ring! 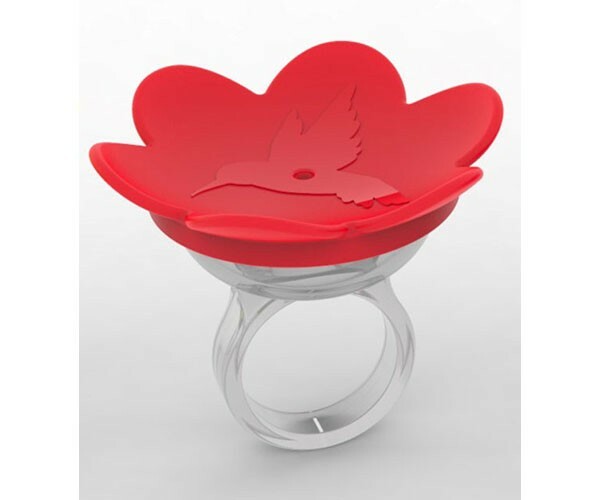 Start by training hummingbirds to feed from the ring by filling it with nectar and setting it out for them to use. 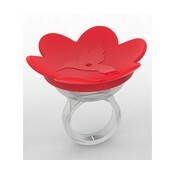 Once they get used to feeding from the ring then simply pop it on your finger and enjoy the magic! Lightweight, easy to clean, and dishwasher safe.